Home » Our Doctors » Maria Courson, O.D. Dr. Maria Courson was born in Baton Rouge, Louisiana and raised in Orange, Texas along with four brothers. 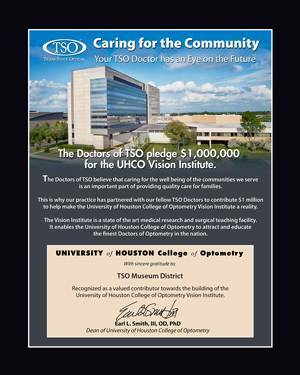 Until college, Dr. Courson was homeschooled by her mother, moving forward to attend McNeese State University in Lake Charles, LA and ultimately University of Houston College of Optometry. 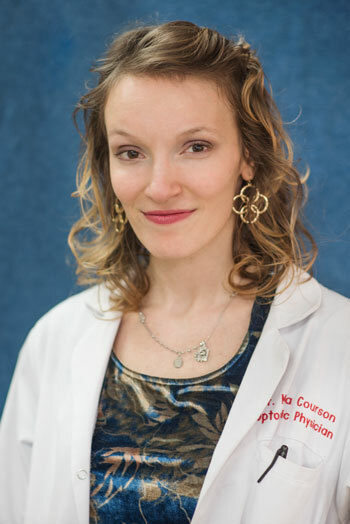 Dr. Courson is a licensed Glaucoma Specialist and Therapeutic Optometrist. A family friendly career and helping people in all realms of life is why Dr. Courson chose Optometry as her field of choice. She specializes in treatment of Glaucoma, red eyes, dry eye disease, binocular vision disorders (amblyopia, strabismus, etc), rigid gas permeable, scleral contact lens fits and pediatric examinations as early as three months old. Dr. Courson also prescribes lenses to correct astigmatism, myopia, and presbyopia and manage cataract, diabetic retinopathy and macular degeneration. In her spare time, you might see Dr. Courson at the movie theatre! She loves festivals, gardening, cooking and baking, going to church, singing, home improvements, going to the firing range, traveling and mostly spending time with her husband. Dr. Courson is mainly fluent in English but can also get through an eye exam in Spanish! Her professional interests include surgical approaches, using amniotic membrane, punctual plugs and foreign body removal to improve corneal disorders, eye comfort and visual blur. She enjoys medical research and keeping up with current articles about Optometric management and eye disease.